Happy Monday scrappy friends! I hope you had a fabulous weekend! Our family sure did! School is back in session and we are headed for a long week! If you ready my last post you will know what Im talking about. Today I was able to get another smashy page done. I was so proud of myself because I actually got two pages done! Yay me!! 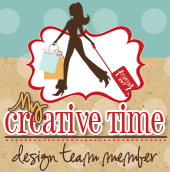 I used a ton of My Creative Time products on my pages. Check out the video below! Thank you for stopping by today. Make sure you visit the rest of the design team for more crafty ideas. Big crafty fun!!!!!! WOW great 2pg LO love, luv it. Your colors your paper choices and great ideas using all of Emma's goodies. Your kiddos are really cute great subjects for your pgs. Now take a deep breath and get going on your next creative project 'cause you are good YEP really really really good YEP so talented and creative I/WE want more!!! You go girl. YOU ROCK!!!! Such FUN FUN smash pages!!!! The pictures are GREAT and I love all the FAB MCT stamps and dies you used!!!! Nancy ~ Oh look at this ~ I LOVE them! You are still the queen of smashing to me! Just the details are AMAZING! LOVE how you incorporate so many MCT products and elements to your pages! BEAUTIFULLY done as always! Sending hugs your way too! Super job on your layout...looks like a fun time! I like the gift card for journaling and your random die cuts for smashing is great. Very nice job!